Be sure to pinch the region near the right edge only. 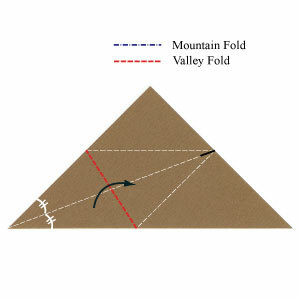 Apply the valley-fold of the step #3 and make a small crease line (bisector) near the right edge.}. 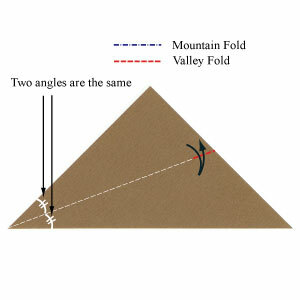 Prepare to apply a valley-fold using the bisector you have just made.